Twenty-three of the top NHL rookie prospects will gather outside of Toronto at the MasterCard Centre on Wednesday, September 1, for the 2010 NHLPA Rookie Showcase. TORONTO, ON (August 30, 2010)– Twenty-three of the top NHL rookie prospects will gather outside of Toronto at the MasterCard Centre on Wednesday, September 1, for the 2010 NHLPA Rookie Showcase. This unique event will provide Upper Deck and Panini America – the official trading card partners of the NHLPA and the NHL – with an exclusive opportunity to photograph many of the game’s top young prospectsfor the first time in their official NHL team uniforms, in shots that will be used for upcoming trading card and memorabilia launches. The 23 NHL rookie prospects in attendance for the 2010 NHLPA Rookie Showcase will be available for media scrums prior to the event at approximately 9:15 a.m.
Taylor Hall (EDM), Tyler Seguin (BOS), Nazem Kadri (TOR), Jordan Eberle (EDM), Kyle Beach (CHI), Jonathon Blum (NSH), Joe Colborne (BOS), Scott Glennie (DAL), Erik Gudbranson (FLA), Calvin de Haan (NYI ), Zach Hamill (BOS), Ryan Johansen (CBJ), Jacob Markstrom (FLA), Ryan McDonagh (NYR), Chet Pickard (NSH), Brayden Schenn (LAK), Jordan Schroeder (VAN), Kevin Shattenkirk (COL), Jeff Skinner (CAR), Magnus Svensson Paajarvi (EDM), Tomas Tatar (DET), Mattias Tedenby (NJ), and Mats Zuccarello-Aasen (NYR). WHEN: Wednesday, September 1, 2010 from9:15 a.m. – 10:00 a.m.
**Media will also have access to the designated media areas in the different Panini and Upper Deck event stations throughout the morning until 1:00 p.m. This time will be available mainly for media to gather photos and b-roll footage of those NHL rookie prospects taking part in the scheduled stations. 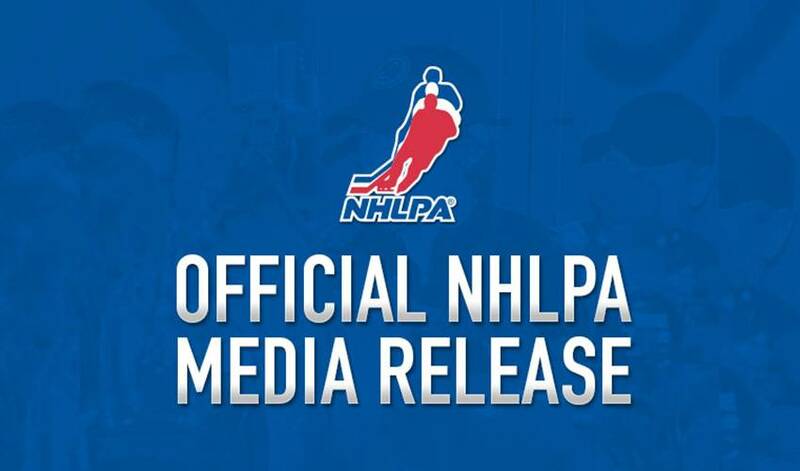 ***Designated representatives from the NHLPA, the NHL, Panini America and Upper Deck will be available for comment, upon request, throughout the media availability. There’s no doubt Taylor Hall has some serious hockey skills. His SPF skills, however, could use some work. For a player whose explosive skating skills make him appear to be in perpetual motion, it’s Taylor Hall’s ability to put things on pause that have his teammates speaking volumes.